Managing a monster truck is not like managing a small car or motor cycle. Well, monster trucks are big vehicles whose tyres are bigger and heavier than some of the cars of these days. Managing the monster trucks are real tough jobs for those who are not even used to cars. Well, one of the first thing you would be needing is the initial investment for various things in order to buy and start managing a monster truck. It is not gonna be as easy as it looks. The cost of a monster truck is more than 100K USD. And this is the rate of an average monster truck with no engine. If you are planning to buy the engine as well, then you would have to invest more money. If that’s the case, then prepare to invest about 40 K USD for the engine. So, the total cost for buying an average monster truck with engine comes to 140K USD. Well, if you are thinking of buying high performance monster trucks with great speed, then you would have to think about investing more money. The science behind buying monster trucks is that – the more money you invest, the better monster truck you would be getting. 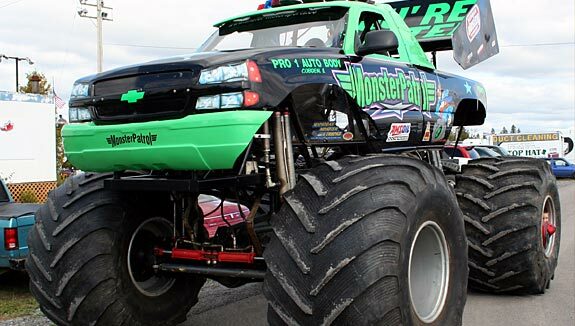 So, prepare to invest more money if you are behind stunning monster trucks and not just an average monster truck. And if you are ready to go with an average monster truck, then as we have mentioned an initial investment of 140K USD would be the trick. Don’t think that, you would be getting a cool monster truck for just 140K USD. Managing the monster truck is the toughest of the things. Again you should be investing some money if you are buying it from a place which is located very far from your place. You would have to pay the charges for getting it from that place to your place. Now comes the most important part. You should be spending money for running the monster truck as well. The cost of the fuel is what I have meant here. This is not a car which would run miles with just a litre of petrol. Monster trucks needs more fuel than cars. So get prepared to invest money from your pocket for buying fuel as well for your cool monster truck.